Luna and Wisp have been added to Dota 2. In addition to new content included in the Dota 2 beta, improvements in the in-game delivery of audio have been made with the adaptation to the CELT codec. This update also introduces a revamp of the LEARN section with the Dota Heropedia going online. 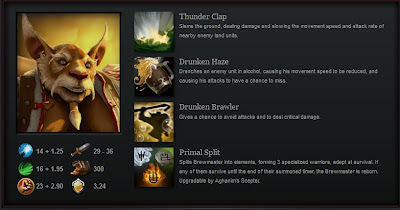 The Dota 2 Heropedia is a web-based resource which allows players to learn more about the heroes they are going to play. Hero pages include skill description, roles and videos that show the mechanics of the hero. More and more Filipino DotA teams have started switching to Dota 2 and are starting to introduce the Pinoy brand of Dota to the world.